Mix together flour, sugar, dry yeast and kosher salt. Slowly add water and olive oil. Mix together until dough forms into a ball. If the dough is too sticky, add a tablespoon of flour until it forms a ball. If the dough is too dry, add a tablespoon of warm water until it forms a ball. Once your dough is formed, knead into a smooth firm ball on a floured surface. 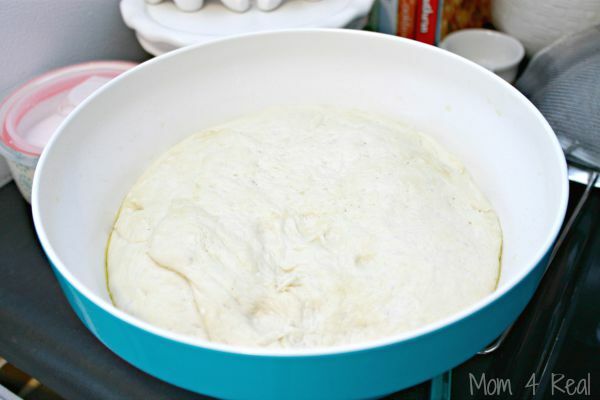 Grease a large bowl with olive oil and place your dough in the bowl. 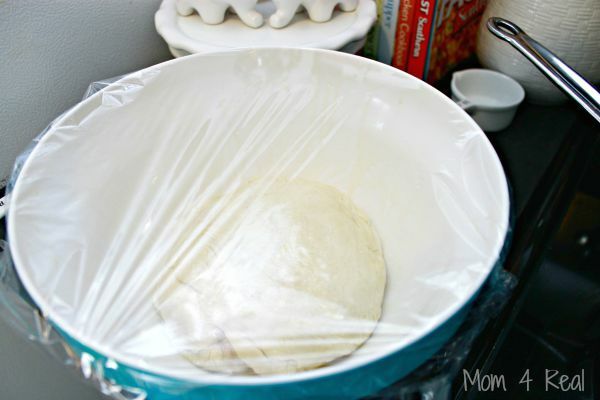 Cover with plastic wrap, and let sit for at least an hour. The dough will double in size. 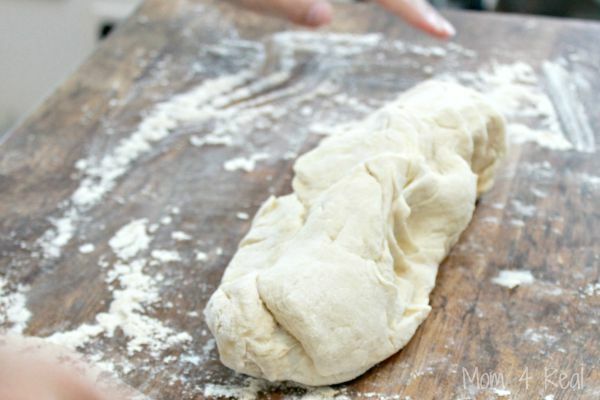 Now flour your surface and cut the dough in half. 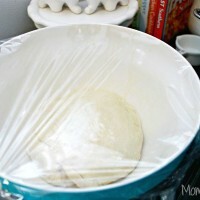 Place a damp cloth over the dough and allow it to sit for 10 minutes. 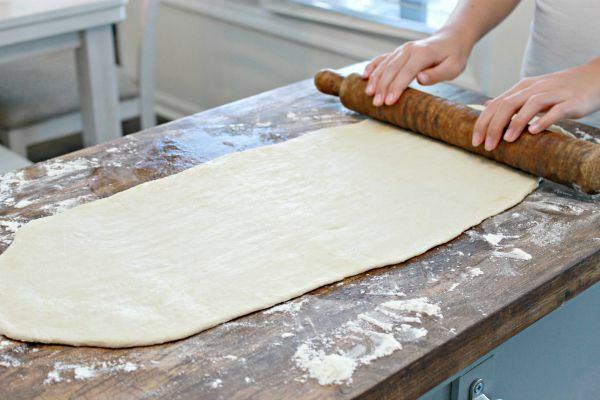 Now it’s time to roll your dough out into whatever shape you like, while gently pulling the dough to stretch it. This is the dough after we mixed all of the ingredients together. 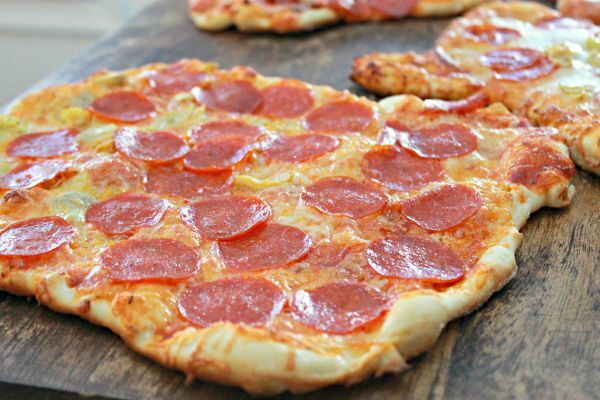 The pizza dough before rising. The pizza dough after an hour…it has doubled in size. Kate rolled our dough out before cutting into different sizes. We are making individual rustic pizzas on the grill, so we don’t want a big round circle. 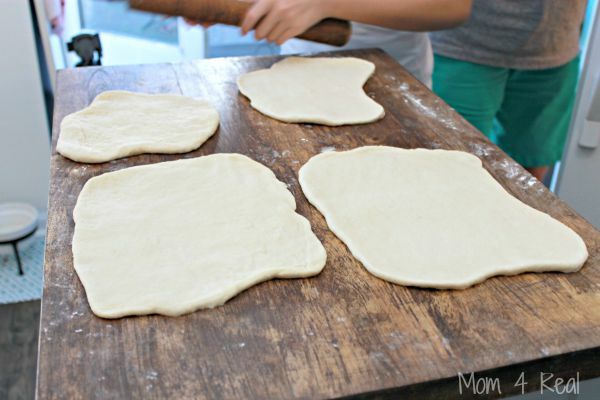 You can shape your dough any way you like! We each like different toppings, so we like to make our own. These pizzas are going to be rectangular shaped, so we divided the dough into fours instead of in half. I set out all kinds of different ingredients and everyone can build their own pizza. Here is mine! I loaded on pepperoni and added some artichoke hearts on one side. Doesn’t it look delish? 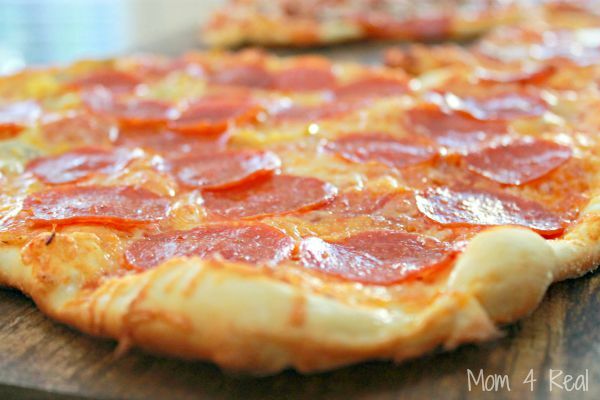 It really is super simple to make your own dough, and super fun too. Pizza making night is our family’s favorite night! You can either grill your pizza like we do by putting it on a really hot grill on a pizza stone, or you can bake your pizza in the oven for about 12 minutes on a pizza stone at 450 degrees! Happy pizza making!